Maybe you like to do the Macarena. Oh wait, you’re too old for that? Ok, so maybe it’s pirouettes and leaps. Hmm…. ballet not your style? Then maybe you like the fast movements and live drums of West African dance like me! Whatever your tastes may be, whether you know how to juke, breakdance, or just like to shuffle your feet, there’s energy in the way you move. 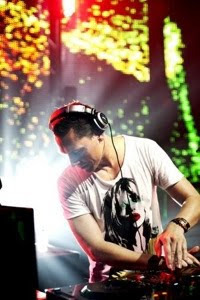 The video cuts to a picture of Tiësto, the superstar Dutch DJ known to fans across the world for his groundbreaking electronic beats. The crowd’s moving, the floor’s jumping, and… what’s this!? They’re creating electricity! Piezoelectricity, to be exact. The root piezo comes from the Greek word for ‘pressure.’ The movement of feet on a dance floor made of the right crystallized materials can help offset a club’s energy needs significantly. European nightclubs like these know that when the imbedded crystals are pressurized, they produce an electrical current that can be used to power anything from the lightshow inside the club, to simply offsetting their general electricity needs. Piezoelectric crystals – matter such as quartz, topaz, and even salt – contain equal amounts of positive and negative charges, so generally they are considered neutral. Yet, when this symmetry is thrown off by pressure, a charge is released. This voltage can power dance floors, and might eventually power subway stations and other public areas with lots of foot traffic. Humans are full of energy. I mean, we know this just by having watched our younger siblings and cousins running sprints and throwing tantrums growing up, right? (Not that we would ever do such a thing). So why not take all that free energy and harness it? Well, at the moment, piezoelectricity is still a bit costly… but who knows. In a couple of decades, even Dancing With the Stars could be a self-powered show!